Last year, The Nun was released in theaters, and collectible companies have really stepped up by offering a number of products based on the title character. There have bee multiple figures and statues unveiled from NECA, Iron Studios and QMX. The newest item is being produced by Sideshow Collectibles. The Nun is the fifth film in The Conjuring Universe, and it acts as a prequel to the original film. In the movie, a Nun at abbey in Romania is revealed to be possessed by the demon Valak. The new The Nun Statue from Sideshow depicts the fully revealed demonic &#187; Continue Reading. 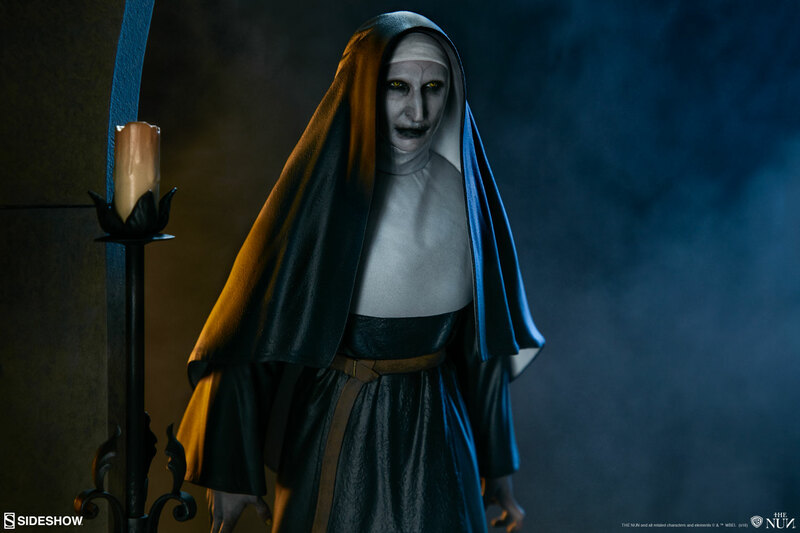 The post The Nun – Valak Possessed Nun Statue by Sideshow appeared first on The Toyark - News. Star Wars Collectors Expo 2019 will be June 2nd at the Hilton Mississauga/Meadowvale Hotel – 6750 Mississauga Road, Mississauga, Ontario. The show features a huge selection of vintage and modern Star Wars action figures, comics and other collectibles as well as special guests from the Star Wars franchise.